D.W. Brogan offers a panoramic view of the Big Apple's architecture, society and economic history. To a legal purist, New York City as we know it today, was only three years old as the last year of the 19th century ran out. For it was in 1897 that 'greater New York' was constituted and given a federal type of government. It was a system of five boroughs, the two old centres of Manhattan and Brooklyn, the new suburbs of Queens (on Long Island side by side with Brooklyn), Richmond on Staten Island down the Bay and the Bronx, then a vague hinterland stretching northward from the Harlem River. 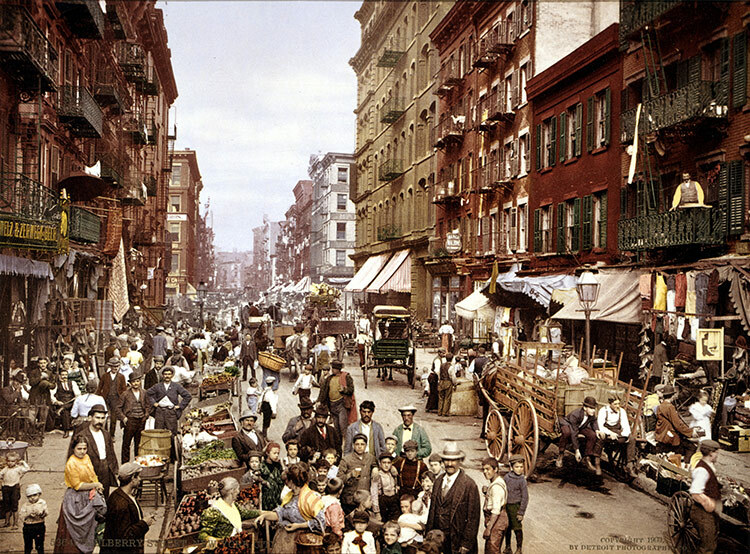 The municipal structure is much the same today, but Manhattan has lost its old pre-eminence; Brooklyn and the Bronx exceed it in population; some of its traditional industries are leaving it. Its inhabitants curse its noise, its dirt, its winter winds and summer dripping heat; but for them Manhattan is New York, as it is for the rest of the world.